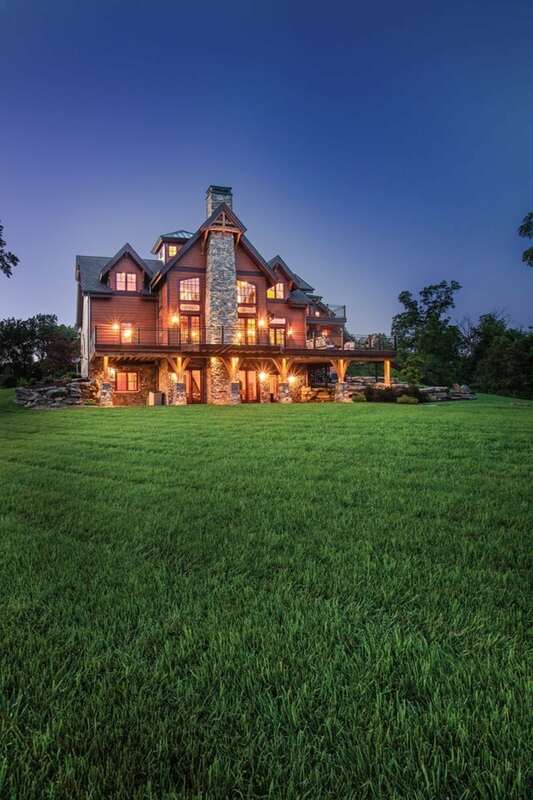 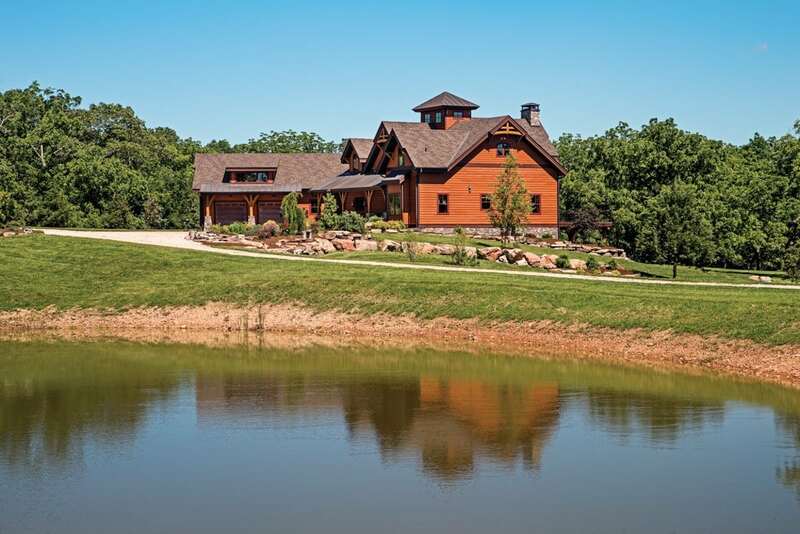 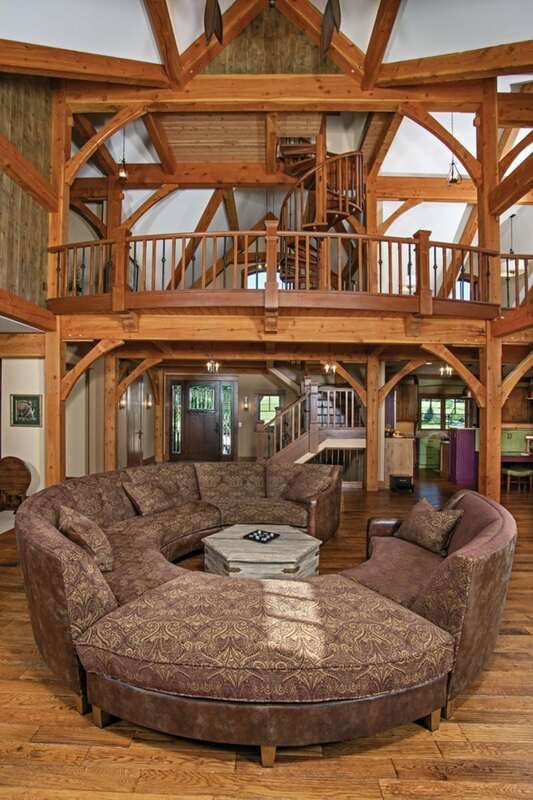 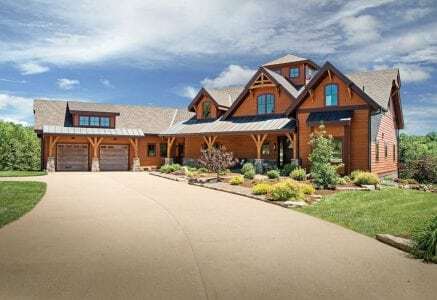 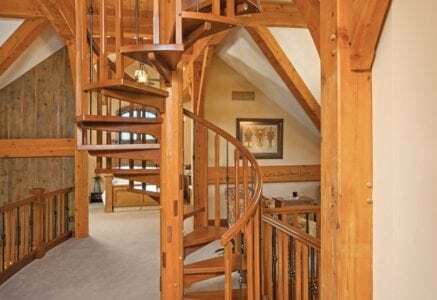 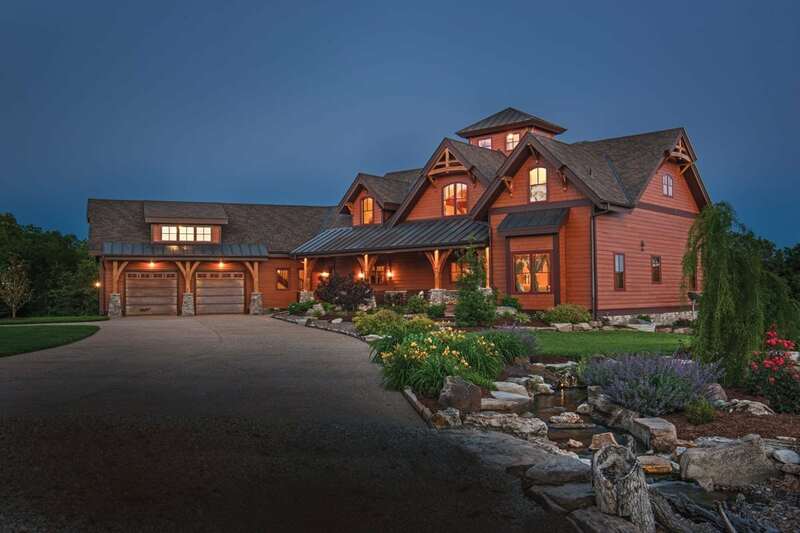 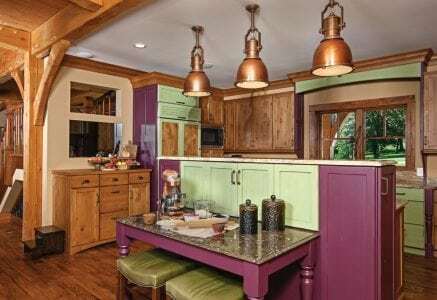 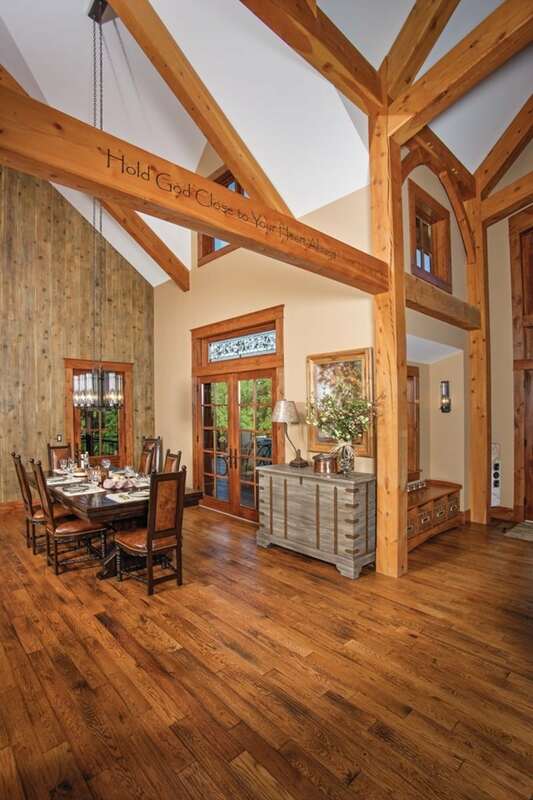 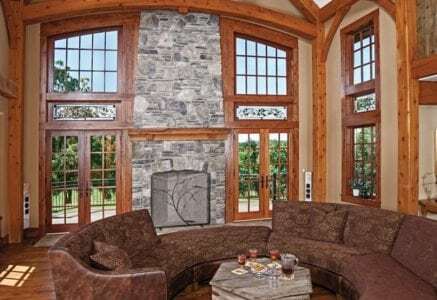 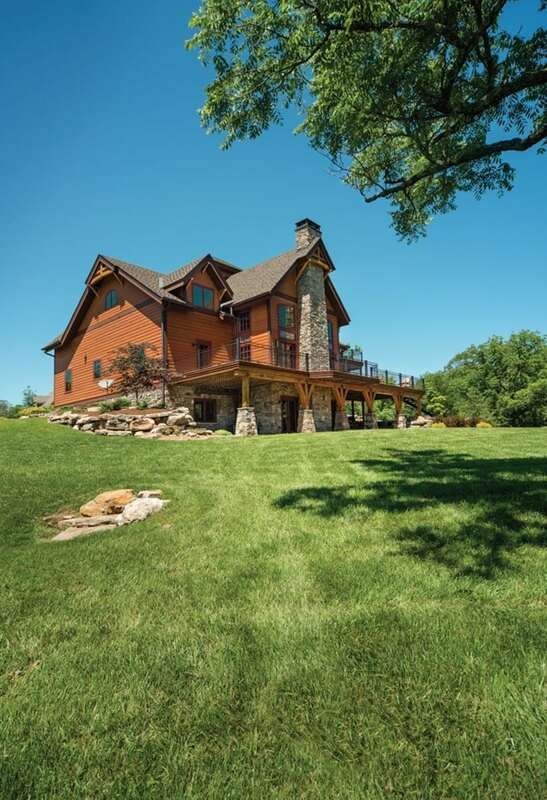 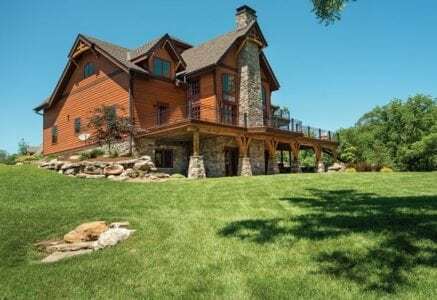 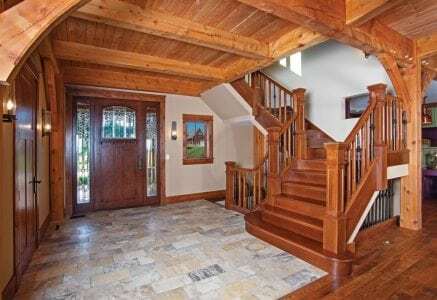 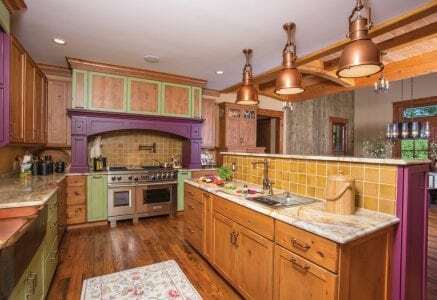 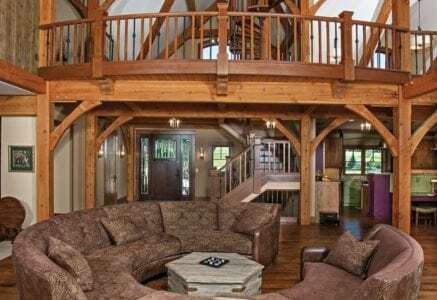 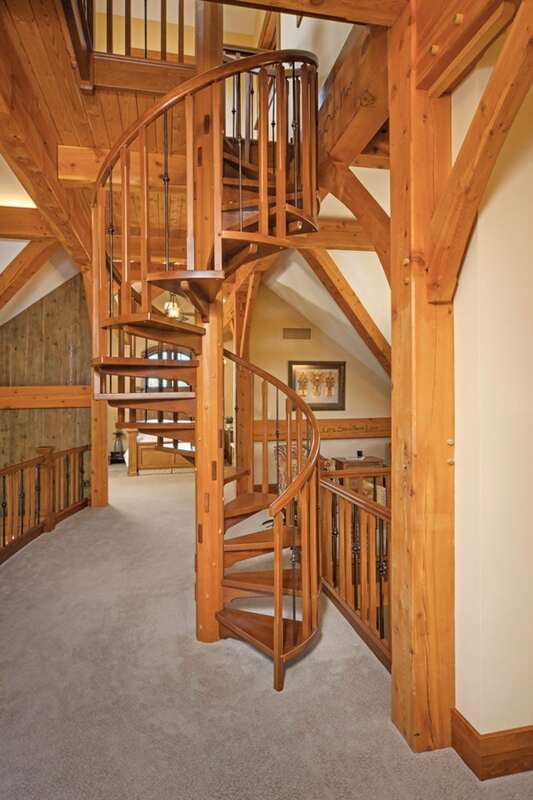 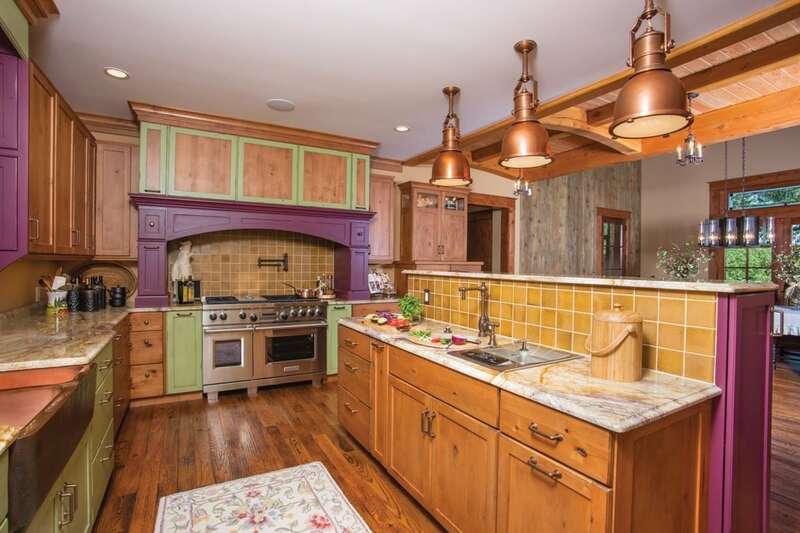 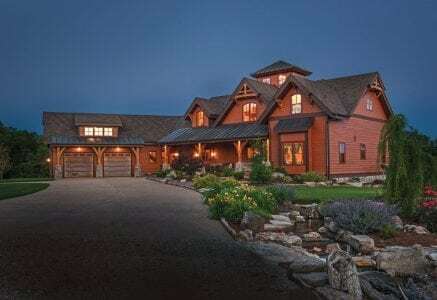 This Missouri ranch home is a great example of how the design of the timber frame itself can complement the overall design. 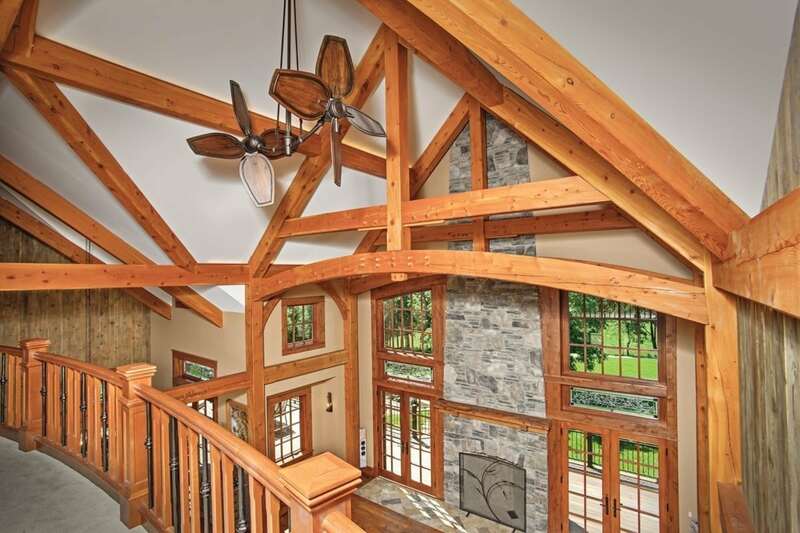 A custom truss with a slight bow across the bottom was designed specifically for this home and is repeated throughout its interior and exterior. 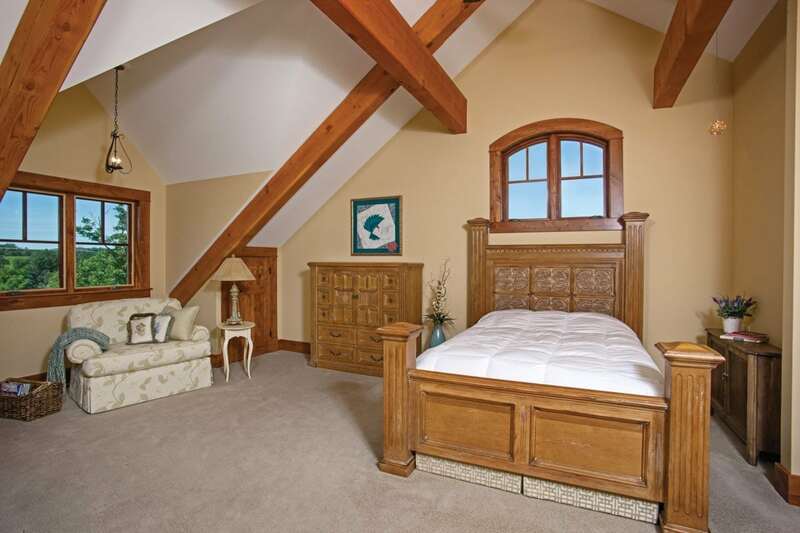 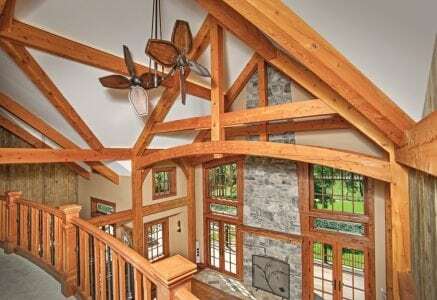 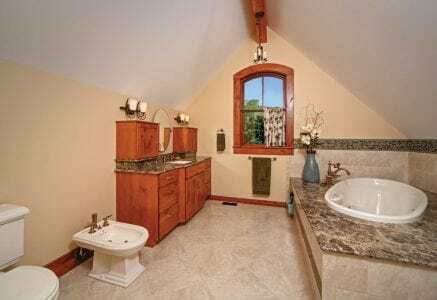 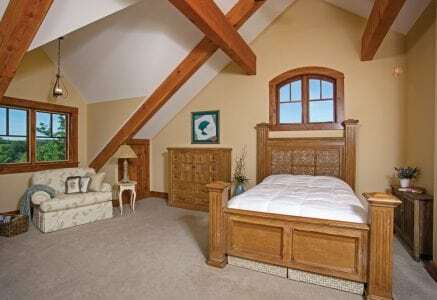 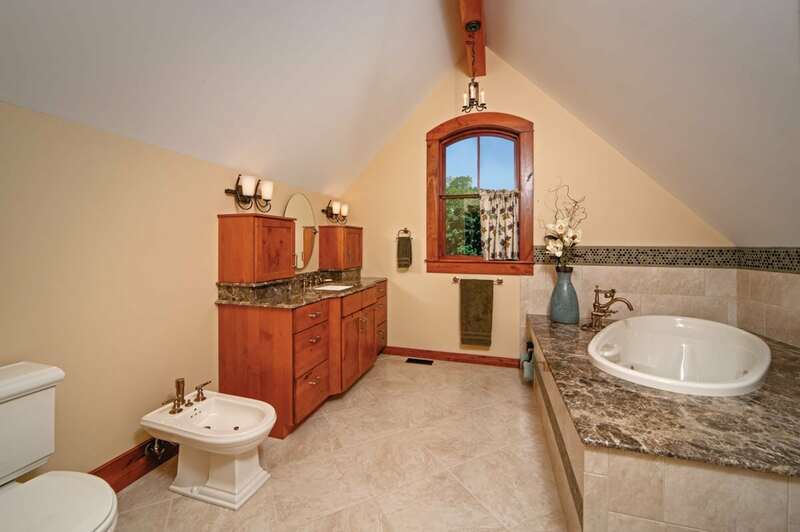 This bow is elegantly repeated in the windows located just below the trusses. 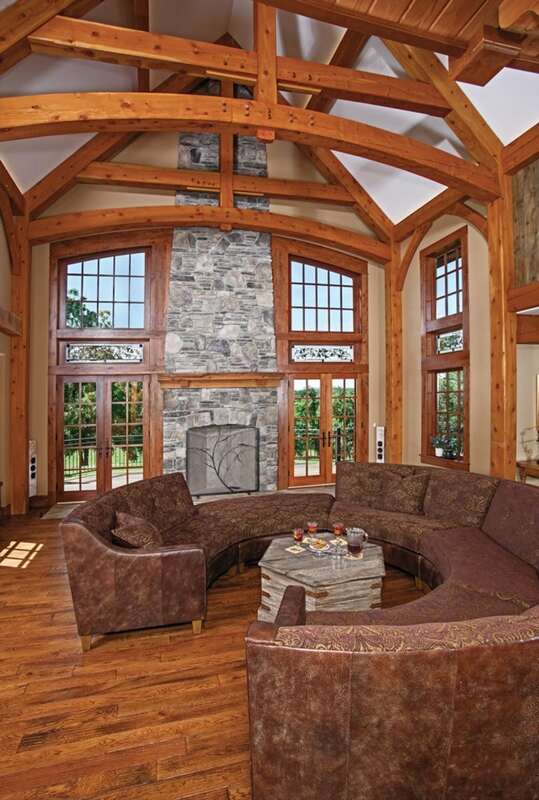 Additionally, the bow is repeated in the eaves on the exterior elevations and also in the great room, where the window groups on each side of the fireplace curve perfectly with the timber above. 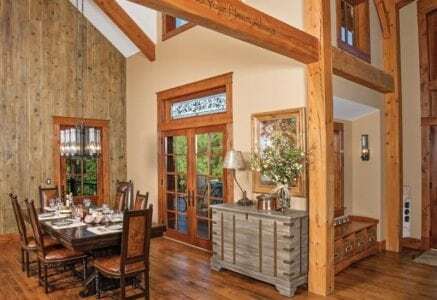 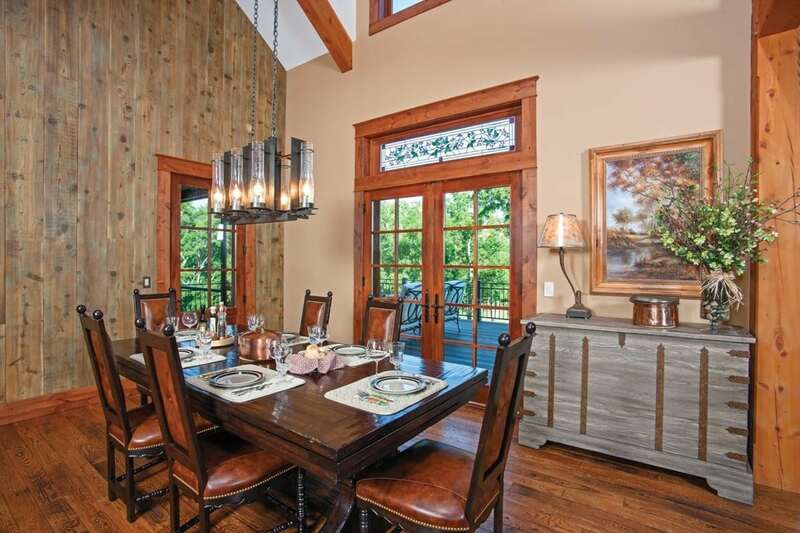 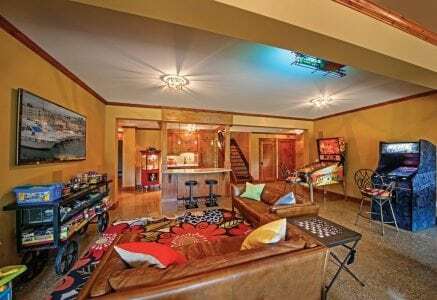 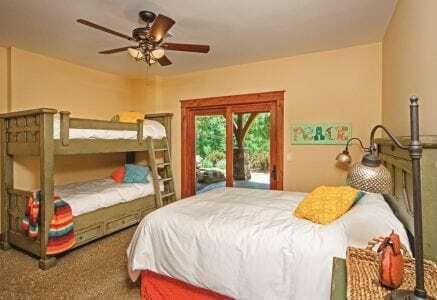 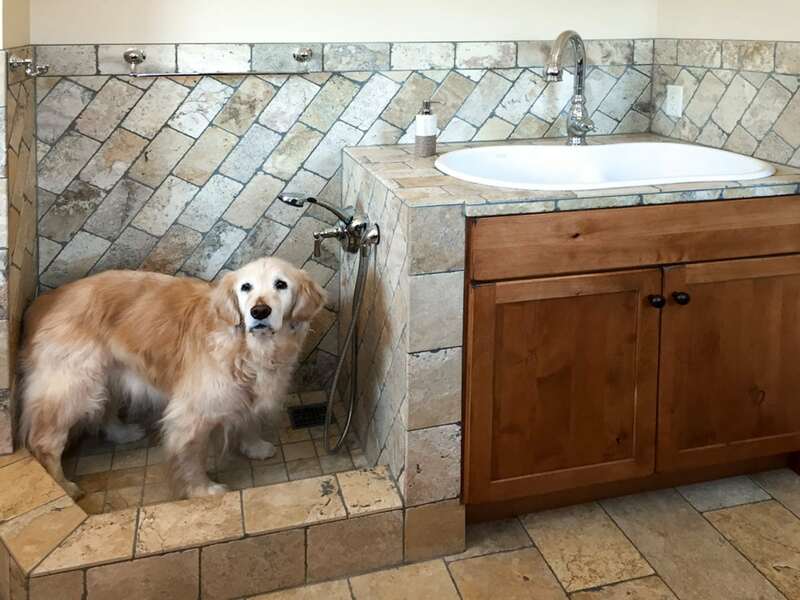 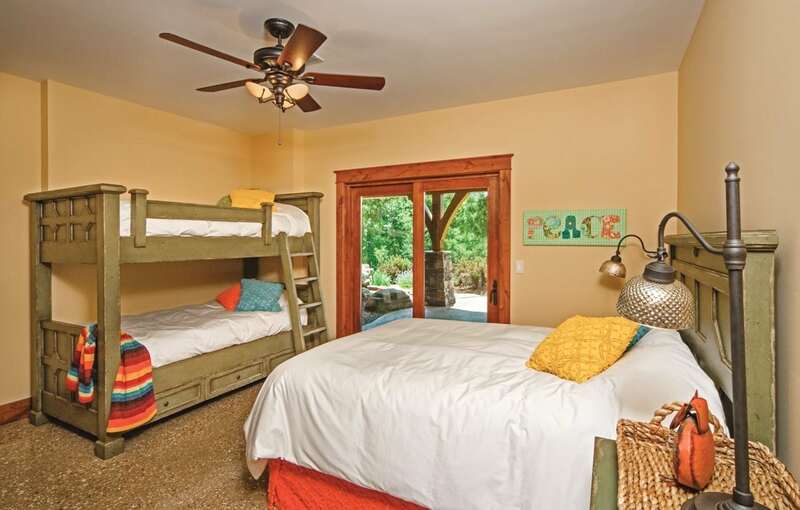 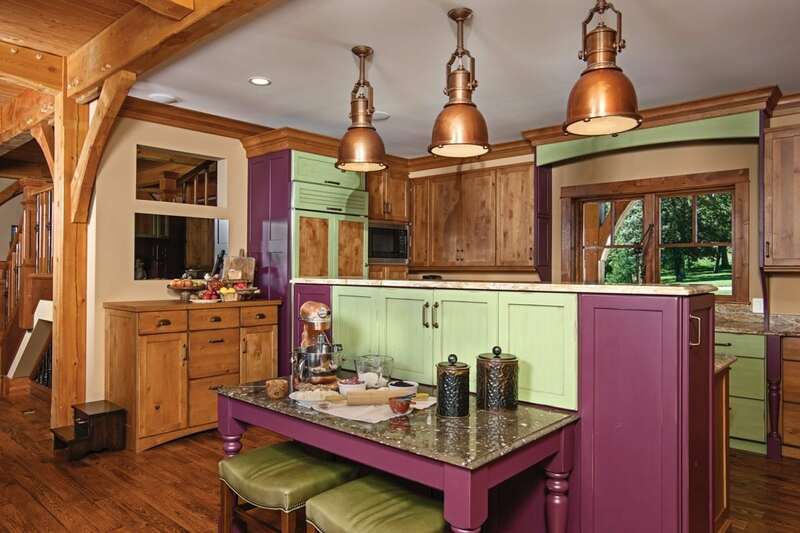 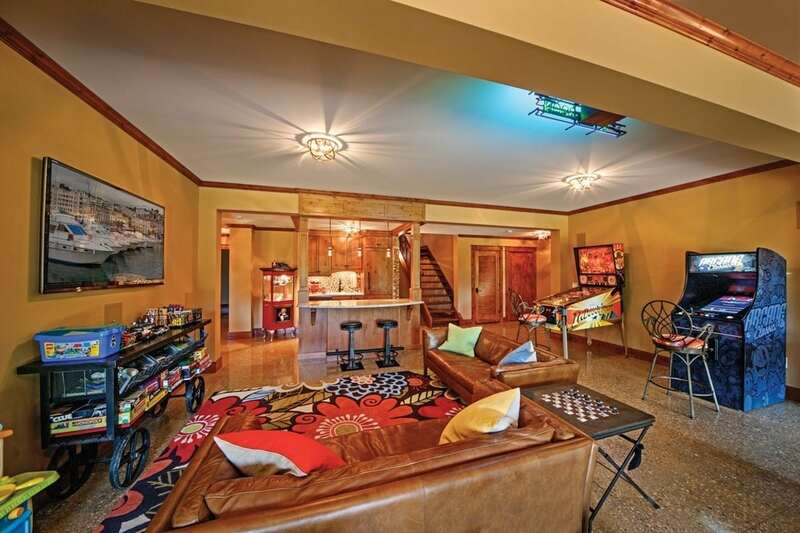 The functional aspect of the timbers provides a big, open layout which proved to be a perfect fit for the homeowners’ special events including a concert series they hold inside the home.